This series of 5 units is perfect to help fill in the gaps and to get you to the first rung of the ladder. The Quality Fundamentals will give you all the skills and knowledge you need to jump to the next level in your career. Once you have the core units from the Fundamentals course you can add more and build a Diploma which will take you to the next exciting level. Add three more units onto the end of your Diploma and your Higher Diploma will be a direct parallel to the standard of the average Bachelor's Degree. We strive to make the process of completing the Quality Qualification as straightforward as possible. There are a number of Quality courses which will allow you to build your qualification, whether it’s to complete the Diploma or to work towards a post graduate degree in Quality Leadership. You may be looking for a qualification to further your career. DHIQC offer the top-class teaching materials and flexibility to help you achieve this. For the Quality Fundamentals course you don’t need any previous qualifications. For the Diploma in Quality Leadership you are required to complete the Quality Fundamentals series of five units. Which is the best course for you? The DHI Quality Courses are recognised by employers and are respected the world over. The qualifications allow quality professionals to gain recognition through achievement. DHIQC offer a variety of online quality qualifications which include: Root Cause Analysis, Ishikawa Diagrams, Fishbone diagram, Pareto Diagrams, Benchmarking, ISO 9001, Hoshin Kanri, TQM, Quality Circles, Kaizen, Just in Time, FMEA, SMED, 5S's, 6S's, RCA, 7 Management Tools, 7 Basic Tools, Taguchi, and Control Charts, to name but a few topics. DHIQC offer the Quality Fundamentals and the Diploma Qualifications through a distance learning approach with unlimited help and support from our expert tutors giving you all the flexibility you need. David Hutchins has written 9 best-selling books on quality-related topics, including Quality Circles, Hoshin Kanri, TQM and Just in Time. David Hutchins personally knew all of the leading Quality Gurus and has worked with several, no other service provider can make such a claim. David Hutchins was commissioned to design the CQI Level 3 Certificate in Quality Management, the CQI Level 5 Diploma in Quality Management and associated courses. Tutor-led live lectures and homework assistance for all levels of skills and knowledge. 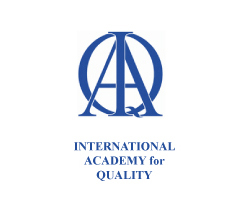 David Hutchins is an academician with the exclusive International Academy of Quality, founded by such illustrious people as Professor Ishikawa, Dr Feigenbaum, and a Fellow of the Chartered Management Institute. DHIQC is founded on over 40 years of consulting experience, providing quality training and working across all major industries with over 40 leading global companies. Founded by and still under the guidance of david hutchins (fellow of the cMI), who not only worked with all of the unchallenged global leaders, but also represented two of them. The strategic Approach to Continuous Improvement. David Hutchins is an academician member of what is universally accepted to be the most prestigious Quality Organisation in the World. David has been a member of ASQ since the 1980s. 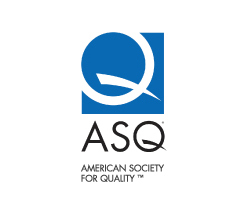 ASQ is the recognised Leader of the Quality Movement in the USA with Chapters all over the World. ACT specialises in organisational and professional development through a mixture of consulting, coaching, training and assessments. ACT was formed in 2012 by Mike Hutchins. DHiQC is an approved Education Centre with the CMI. The Chartered management Institute is the chartered body for management professionals. mini-series on Sky 1, as part of a leadership development programme at Gatwick airport. This short video highlights some recent challenges faced by the quality profession, such as product recalls. David Hutchins talking at the CQI’s 2011 World Quality Day at Sellafield, UK. David Hutchins talking at Kingston. November is 'Quality Month', how will you be promoting it in your organisation? Quality Month - Employee in the spotlight award - do you know someone in your organisation who has gone above and beyond their role in the organisation? Founded by and still under the guidance of David Hutchins who not only worked with all of the unchallenged global leaders but also represented two of them.